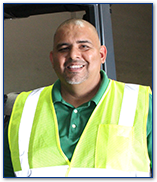 Logistics services in Arizona, Southern California, Northern California, Nevada, Utah, Washington and Virginia. Click Here For The Location Nearest You! 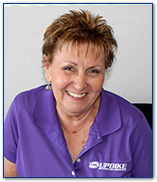 At Updike Distribution Logistics, we enjoy coming to work every day. We think you will, too. If you’re interested in growth, then we have a lot in common. If you also recognize the importance of going above and beyond the call of duty, then we’re really on the same page. We encourage passionate, hard-working and fun-loving individuals to join our team and help us continue to grow our brand. After all, it’s a win-win for our customers, for us, and most of all for our people. Whatever special talents you have, whatever it is that moves you, we encourage you to check out our current job listings for a posting that meets your unique needs. Click this link to view our benefits, and check out our awesome employees below to learn why Updike is a great place to work. If you’re interested in a career at Updike Distribution Logistics, contact us today! To request pricing or obtain any additional information about Updike Distribution Logistics, please contact sales@updikedl.com.